My Round 2 predictions proved to have some close exciting games along with an upset or two. 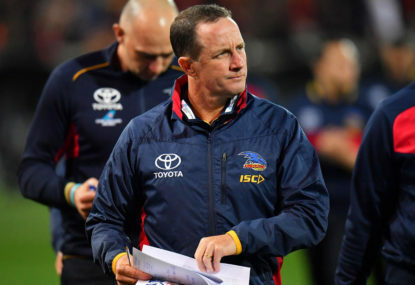 2018 non-finalists Essendon and Adelaide sat in the top four at the completion of Round 2 which proved to be a shock to some. Sydney, GWS, and Geelong sitting in the bottom six was also a shock to many regular readers of my articles on The Roar. 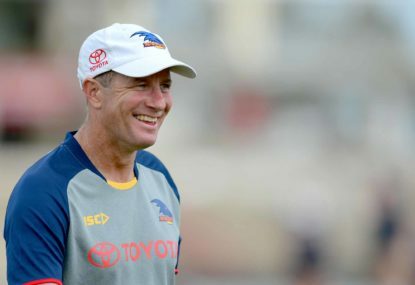 The third round of the season kicks off with Adelaide and Geelong in Adelaide. Geelong are always a chance with the amount of great talent they have on their list, however; the Crows will be too powerful for the Cats at home. A much-hyped clash between the exciting Demons and Bombers will feature on this Friday night. I have predicted both the Dees and Bombers to kick off the season and be undefeated after two rounds, and one teams two game winning streak will come to an end. I tip that the mighty red and blue will beat the red sash. Lock it in, Sydney’s first predicted win of 2019 in Round 3 over the Navy Blues. I can’t see the Blues even challenging the bloods in this game. Expect the Swans to win this one by at least 40 points at Marvel Stadium. Richmond’s poor record interstate during the 2018 season was shown against multiple teams, with their only interstate win coming against the Suns at Metricon Stadium. Despite this record, I believe that the yellow and black will get the job done against the Giants at Spotless Stadium. This one isn’t as hyped up as the Friday night Melbourne v Essendon, however; last time these two teams clashed, Port Adelaide won in a tight one by 5 points. Expect another close one, with the Lions getting a win over the Power. Ladies and gentlemen, we have a mouth-watering clash set for Saturday night of Round 3. 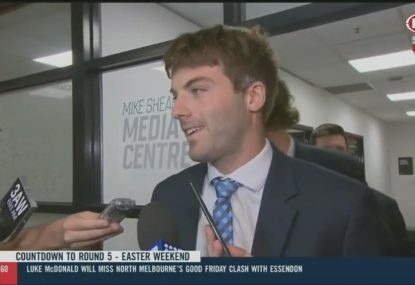 This game be the first time the Pies and the Eagles face off against each other for the first time since West Coast beat Collingwood by 5 points as a result of Jeremy McGovern and Dom Sheed heroics in the final two minutes of the match. 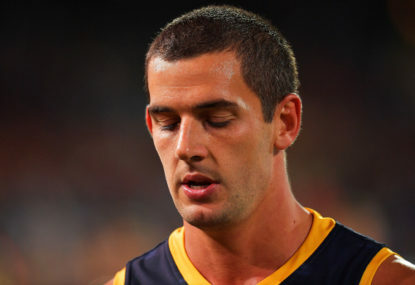 It will also be Andrew Gaff’s expected return game, with it set to be Gaff’s first game since the Western Derby last season where he received a ban of eight games for a strike to Andrew Brayshaw’s jaw. I predicted that the Dogs will lose to the Hawks in Round 2 following a win over the Swans to open the season. I can’t see the red, white, and blue dropping this one to the Suns at Marvel Stadium and get their second win on the board. Both teams sit with a predicted 1-1 record after two rounds. 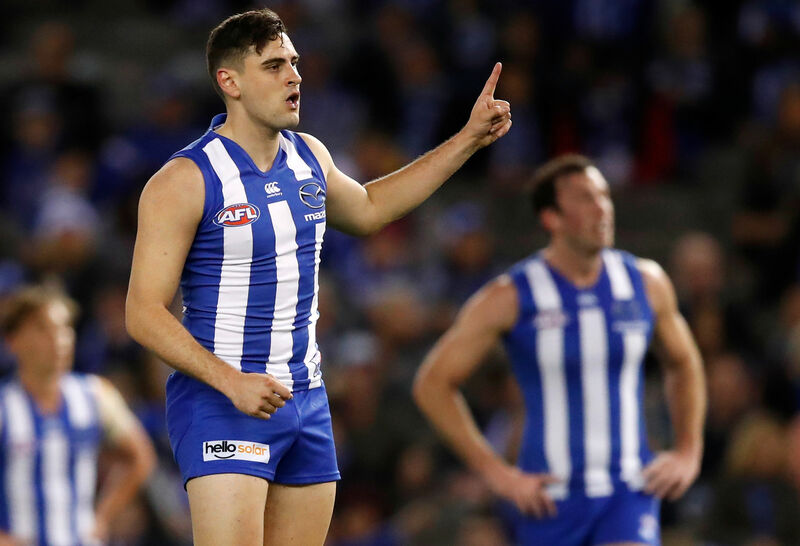 Both of Hawthorn and North Melbourne went on a recruiting spree in the trade period, and one will slump to a 1-2 record while the other will rise to a 2-1 record. The Saints were predicted to be brought back to Earth by the Bombers after demolishing the Suns by over 50 points in Round 1. With the Saints average defence and the Dockers improved attack, I can’t see the Saints beating the Dockers. 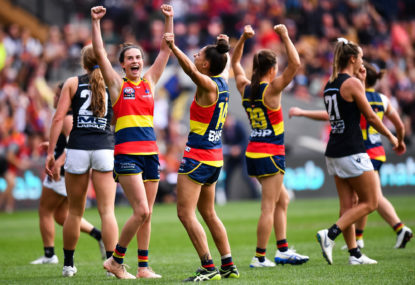 Only three teams are left with an undefeated record after three rounds, with Essendon and West Coast losing their first game of the season. The reigning premiers drop out of the top four in favour of reigning runners-up Collingwood. Both of the Giants and the Cats look in average position following Round 3, with none of them being predicted to win a game thus far. The Swans get their first win of the season over an average Blues, and hopefully for Swans fans, it kicks off a string of consecutive wins. That’s my Round 3 predictions and predicted ladder after Round 3. Keep an eye out for Round 4 predictions.